Samidoun Palestinian Prisoner Solidarity Network salutes Mustapha Awad on his release from Israeli prison this morning, Thursday, 28 March. 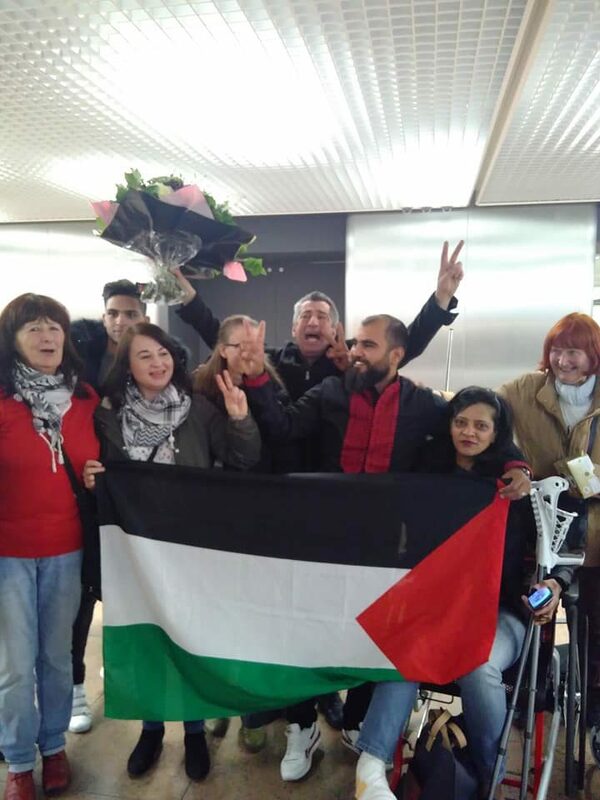 He arrived at Brussels Airport in Belgium after winning early release from Israeli prison; he has been jailed for over eight months, targeted for attempting to visit his homeland, Palestine. Born a Palestinian refugee in Ain el-Helweh camp in Lebanon, Mustapha, a Belgian citizen, was seized by Israeli occupation forces at the border between Jordan and Palestine. 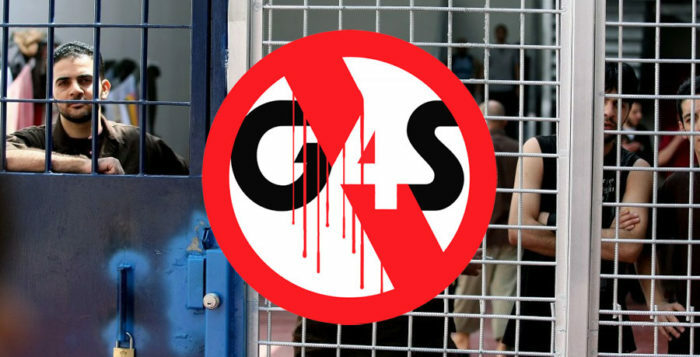 He was targeted, charged and imprisoned for his activities in support of justice for Palestine – including Palestinian political prisoners – and his work with the Palestinian community in Europe. Throughout his imprisonment, his friends, family and supporters – and especially the Free Mustapha Committee – worked tirelessly for his freedom, demanding that the Belgian government uphold its responsibility to its imprisoned citizen. At the same time, Israeli officials have gone on a global propaganda campaign targeting Mustapha in international media, even while unjustly imprisoning him. 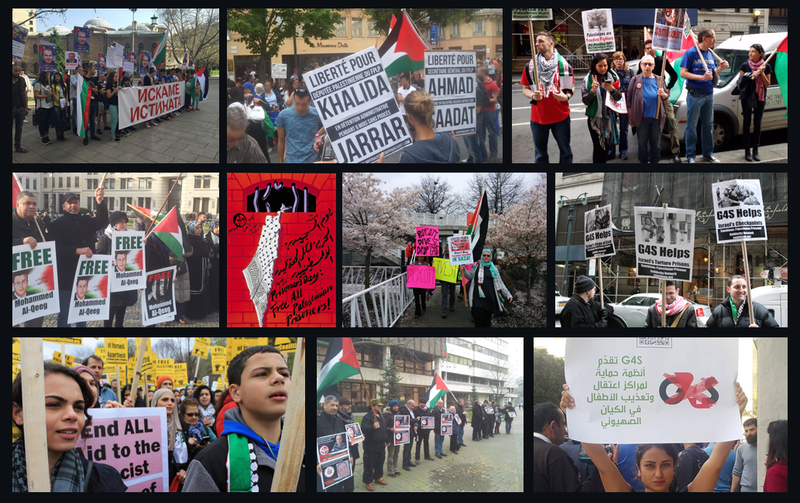 Today, we celebrate with all of the comrades of the Free Mustapha committee, Mustapha himself, and all supporters of justice in Palestine – and pledge to continue the struggle until the day all Palestinian prisoners will be free, and Palestine will be free! Today, the Free Mustapha Committee is extremely pleased to announce that the Belgian artist and metalworker Mustapha Awad has been released from prison after more than 8 months of wrongful detention and imprisonment. This propaganda campaign, we have confirmed today, ended in failure. Mustapha is not and never was a terrorist and neither is any person mobilizing for more justice and freedom in Palestine, or elsewhere in the world. Today we are celebrating but we can’t forget that Israel keeps in custody more than 6000 other Mustaphas, Palestinian political prisoners. That is why the members of our committee will now work to send them the same support from the international community that it was able to gather for Mustapha. This support was crucial to the success of our campaign and to our thanks go to all the people that supported us whether it be financially, artistically, by participating in our actions or by showing solidarity on social networks. Our mobilization as well as the excellent legal defense by the Israeli lawyer Lea Tsemel, have been determinative in achieving the release of Mustapha. While we salute the consular assistance that Mustapha received, we also reiterate that Belgium has failed to protect citizen: it could have worked to obtain Mustapha’s freedom from the moment of his arrest. As long as Palestinians continue to face injustice and discrimination every day, we will never stop our mobilization. Freedom for Palestine and all of its political prisoners! 27 March, Berlin: #RasmeaSpricht - Palestinian women will not be silenced!